What is it about cats? From the charming terms of endearment to the cute bell chains around their necks and the irresistible urge to pet them one fact is clear, we love our cats! And I’m willing to bet, cats love us too! It is safe to say that cats are the most popular household pets followed closely by dogs. This is mainly because cats are generally less-needy compared to dogs. Could it be that we love them even more because of their delightfully obnoxious nature? Well, whatever the verdict, it is imperative that we take good care of our adorable furballs. Living in such close quarters with our feline friends, it’s important to pay attention to their diet. 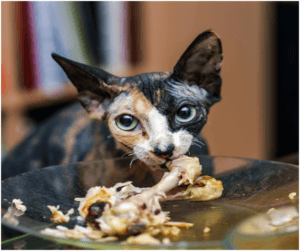 Here are five human foods you should never feed your kitty. You must think you read that wrong because, in our minds, the cat is to milk as a dog is to bone. Well, you are only partially right. In fact, all mammals in their infancy draw their nutrients from lactation, so do kittens. But once they wean, cats, like all the other mammals, become somewhat lactose intolerant. 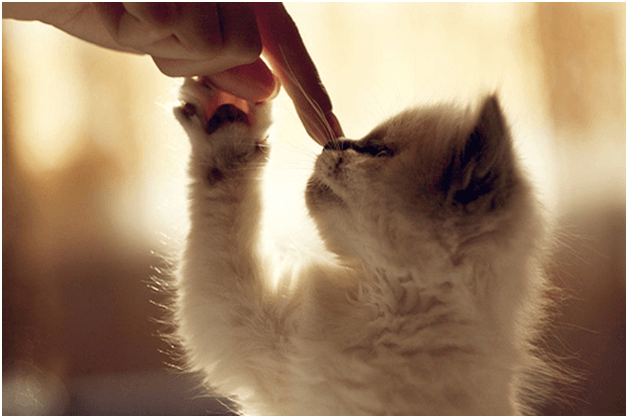 As kittens, their bodies produce a lot of lactase, an enzyme that aids in the digestion of lactose, a milk sugar. Once they begin to wean, their bodies reduce the production of lactase resulting in undigested lactose. The undigested lactose draws water from the intestinal tracts as it passes while the bacteria in the colon ferment the undigested sugars causing bloating, vomiting and diarrhoea.Yoghurts, cheese, butter and ice-cream are not encouraged but can be served in small quantities. This is because in most cases processed products are diluted and cultured meaning microorganisms have likely digested most of the lactose in them. It does not matter which state you serve these in, they are all dangerous. 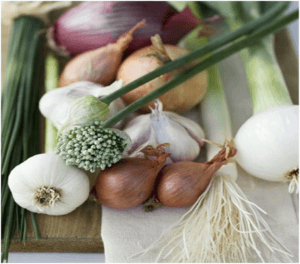 Onions, garlic, chives, leeks, scallions and shallots belong to a plant species called Allium. Allium is especially harmful because it contains an ingredient called thiosulphate and an oxidant called n-propyl disulfide. Cats are highly susceptible to Red Blood Cells oxidation. N-propyl disulfide, once ingested, attaches to the Red Blood Cells while altering the Hemoglobin Molecule. The Hemoglobin Molecule is responsible for transporting oxygen. This alteration damages the Hemoglobin molecules causing them to coalesce and form structures called Heinz bodies. In a bid to repair the damage, the body destroys the damaged Red Blood Cells resulting in a condition called Hemolysis. N-propyl disulfide also damages the membrane of the Red Blood Cells causing ruptures and consequent Hemolytic anaemia. Allium is a formidable enemy of our furry friends and we should make sure we never feed them anything containing allium. 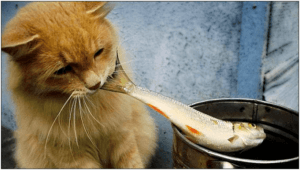 While it appears our messy furballs love fish, it’s not really an ideal feline food. This is because most of the canned fish marketed as cat food comprises of decaying leftovers from the seafood industry. Raw fish contains Thiaminase, an enzyme that breaks down an important B vitamin known as thiamine. A deficiency of Thiamine brings about neurological problems in our mousers. Canned fish-based kitty food is also high in phosphorous and magnesium. High levels of phosphorous and magnesiumwill inflict Urinary Tract disorders and kidney disease in cats. And that’s just the half of it; raw fish is loaded with histamine. Histamine is the main culprit in causing allergic reactions. Additionally, raw fish hinders conclusive synthesis of Vitamin K. Vitamin K is essential for blood clotting. A raw fish diet means your little fluffball will require additional supplements to balance her vitamins. Once in a while, we fall into the soulful begging eyes of our feline friends and end up giving them something we shouldn’t. Caffeine is a common stimulant in our homes; it is in tea, coffee, soda, energy drinks and a myriad of other things and so is chocolate. 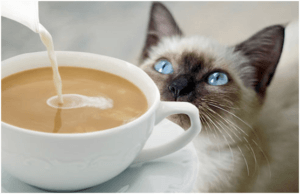 Caffeine and chocolate are definitely among the things we should never give our cats. Chocolate contains theobromine and caffeine is a methyl xanthine. These elements cause restlessness because they alter the sources of calcium and energy at cellular level. Heart rate goes up, blood pressure goes up and in extreme cases, they cause cardiac arrhythmia, generalized congestion, loss of muscle control and seizures. Caffeine and Chocolate also affect the GI tract inducing vomiting and diarrhoea as the body works to clear the toxins. Fat trimmings and bones, cooked or uncooked are definitely a no-no. To begin with, they have no nutritional value. Fat by itself causes pancreatitis, intestinal problems, vomiting and diarrhoea. Bones are dangerous because they can easily get lodged in the gullet or perforate the digestive tract causing internal bleeding. Don’t feed your cat anything harder than their own teeth to avoid dental fractures. It is no lie that we adore our furry kitties. Whether they are curled up next to us or being deliciously aloof, coming home to a furry friend is pleasant. We should, therefore, strive to make their lives as full of smiles as they so often do for us. My Cat Peed on my Bed for the First time – What does this Mean? 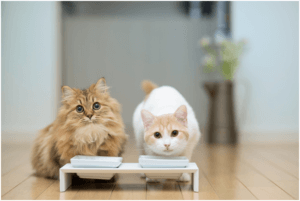 Can cats eat Rice, Tuna, Bread, Eggs, Ham, and Cheese?